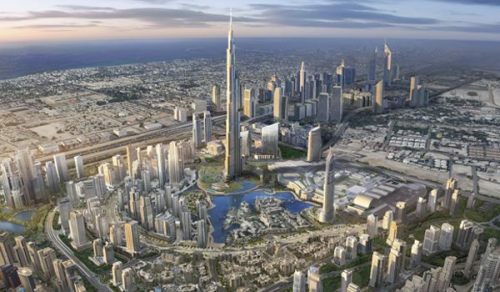 Toronto to Dubai - $574 CAD roundtrip including taxes | non-stop flights | new record! 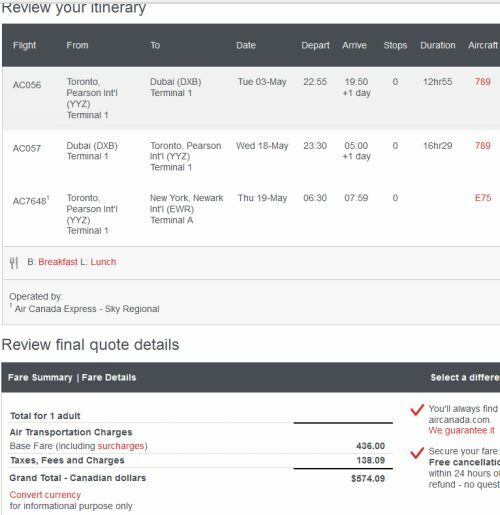 Similar to when this happened back in September 2015, it's once again possible to get from Toronto to Dubai (DXB) and back on Air Canada's non-stop flights for a tremendous price. Last time it was $667 CAD roundtrip, and this time it's even lower, at $574 CAD. This is also a new record for the cheapest flights ever between Toronto and Dubai. 2. Select the non-stop Air Canada flights from Google Flights, and click through to the Air Canada website for booking. If you don't plan to take the additional flight to New York City at the end, you will want to take carry-on only, as that is where your luggage will end up. "I took this flight for the december deal. the guy at the check in counter in Dubai asked if i wanted to only check it in till Toronto, which worked perfectly. he changed my tickets right away and no charge." The following AirBNB links will lead you to some great deals on places to stay in Dubai for under $99 CAD/night for 2 people. toronto, yyz, flight deals, air canada, dubai, dxb, persian gulf and the middle east.